Congratulations on getting into our most recent Soil and Microbe testing program: Greener Pastures. The suite of tests included in this program is designed to give a farmer a very comprehensive insight into the condition of their paddock. To learn more about what the test includes click HERE. The analysis for your samples will include recommendations regarding how to maximise the productivity of your paddock. 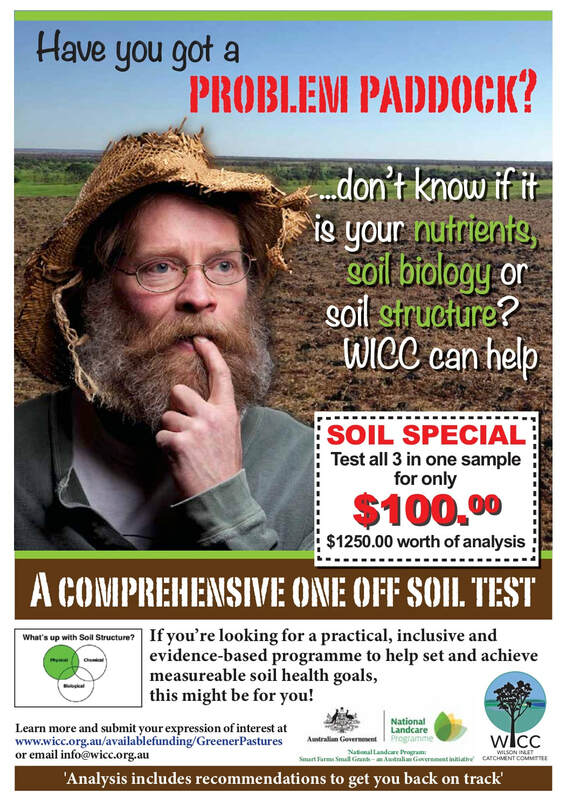 These recommendations will consider soil chemistry and biology. This program is ideally suited to problem paddocks. We recommend that you take at least 10 X subsamples randomly across the paddock. Mix sub samples together to form ONE Sample. ONLY SEND IN ONE SAMPLE TO THE LABS. There are further instructions in your sample kit to guide you taking and submitting your samples. Before you send in the sample, you must complete the ORDER FORM. The order form is also included in your sample kit. It has been partially filled out (with payment details and type of test). All you have to complete on the order form is ROW 1 on PAGE 2. HOWEVER, If you complete the SAMPLE DETAILS page (OPTIONAL) the labs will be able to provide you with more targeted recommendations because they will be aware of your chemical and fertiliser applications. I Agree to contribute $100 (plus GST) for the testing and analysis of my samples.